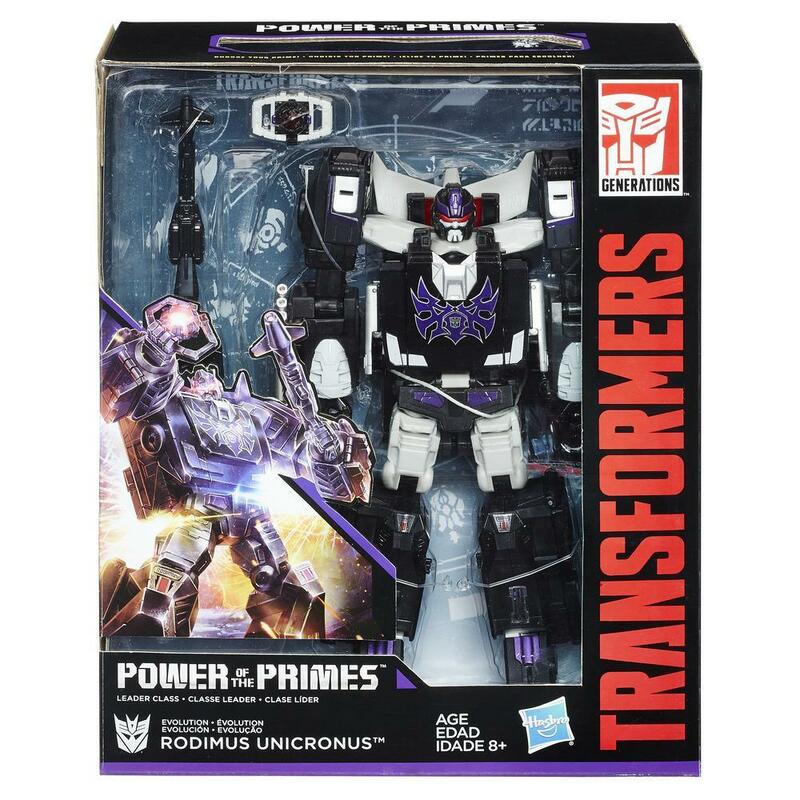 Transformers Power of the Primes: Leader Class - Rodimus Unicronus The Autobots and Decepticons use Prime Masters to wield the incredible powers of the most legendary bots in the universe: the Primes. Prime Masters carry the spark of a Prime, allowing them to share a Prime's godlike ability with other bots. 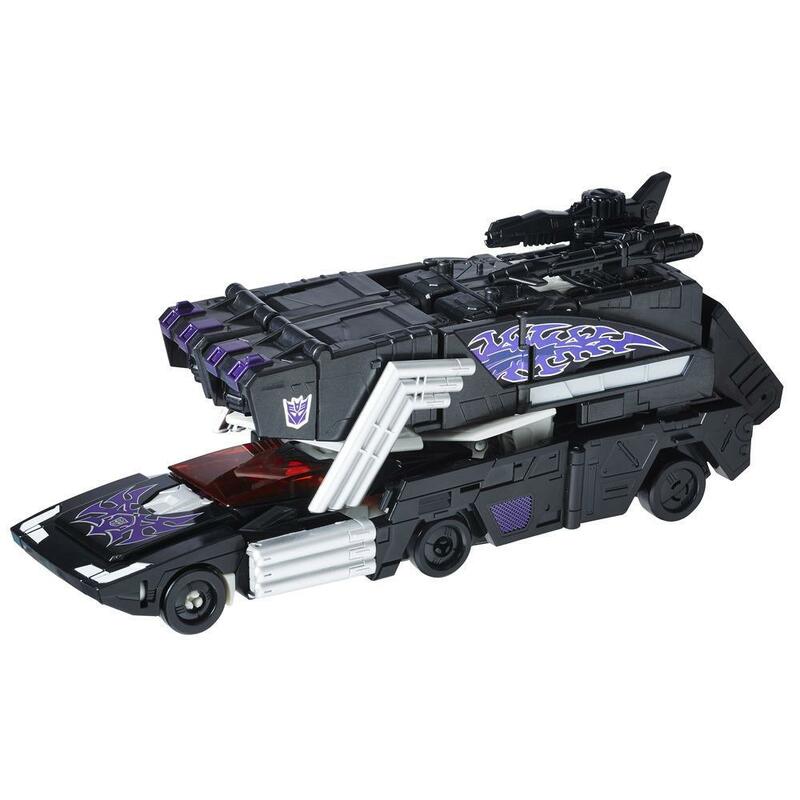 When the heroic Hot Rod is corrupted by the Matrix of Chaos, he evolves to Rodimus Unicronus, a servant of evil driven by a sole purpose: destroy the Matrix of Leadership. 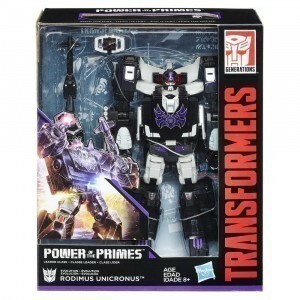 This Transformers Generations Power of the Primes Leader Class Evolution Rodimus Unicronus figure is a 9-inch-scale figure that comes with converting Evolution Armor. 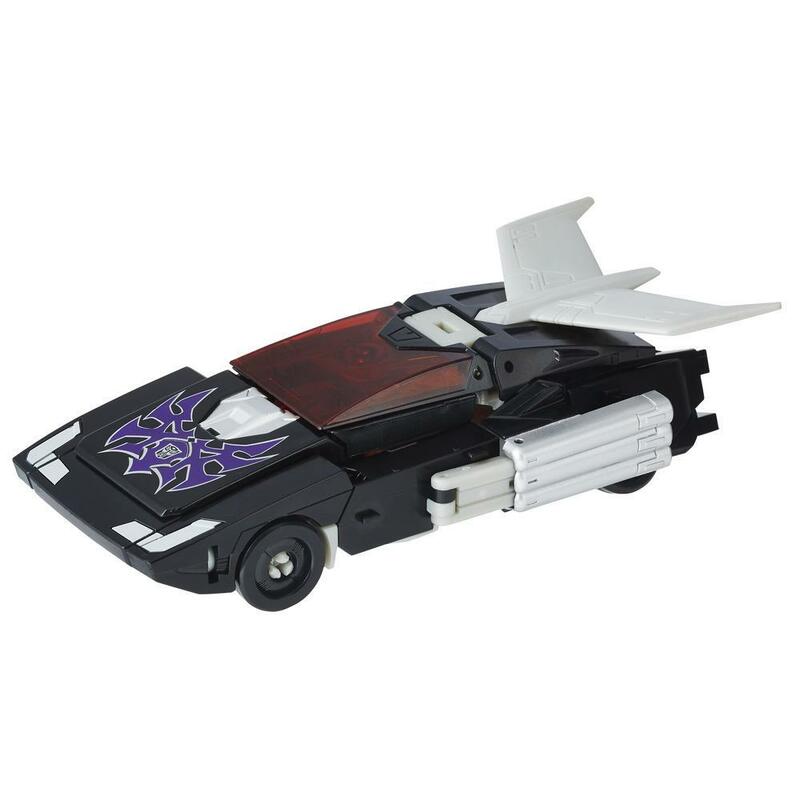 Use the Evolution Armor to evolve this figure from Nemesis Hot Rod to Rodimus Unicronus. Figure Specs: Modes: robot, tractor-trailer Converts in 28 steps Includes Matrix of Chaos accessory, 2 accessories, and collectible character card Works with Prime Master figures (Not included. Each sold separately.  Subject to availability.) • Includes Leader Class Rodimus Unicronus figure with Evolution armor, Matrix of Chaos accessory, 2 weapon accessories, collector card, and instructions. 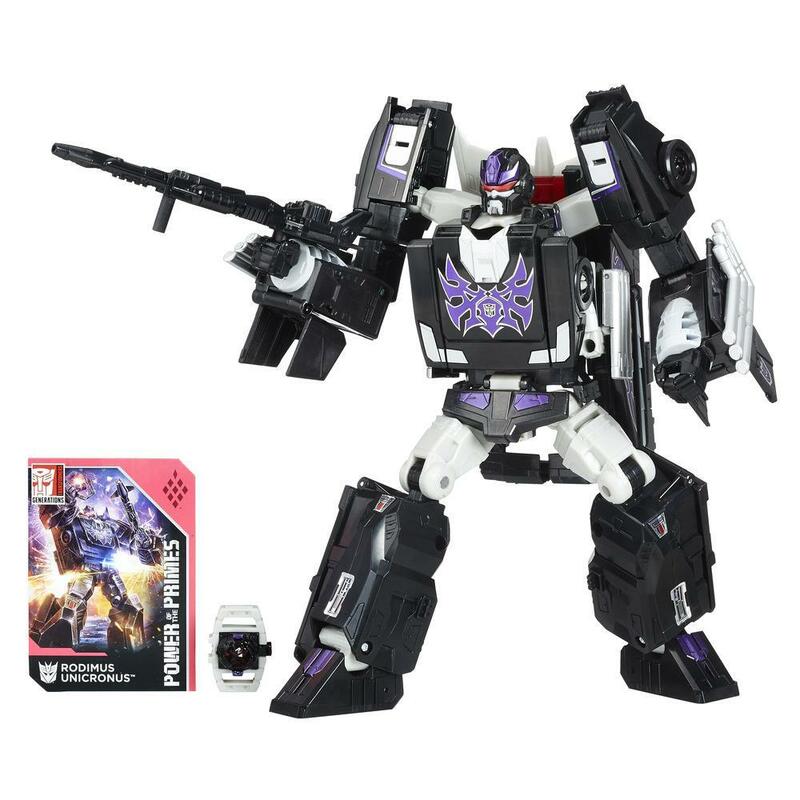 • Figure evolves from Nemesis Hot Rod to Rodimus Unicronus • Comes with a Matrix of Chaos accessory • Works with Prime Master figures • (Prime Master figures not included. Each sold separately. Subject to availability.) • Comes with a collectible character card • Figure scale: 9 inches • Ages 8 and up • WARNING: CHOKING HAZARD - Small parts. Not for children under 3 years.